Default Popularity Newest products Lowest price Highest price Name ascending Name descending All brands Smiffys Who is it for? 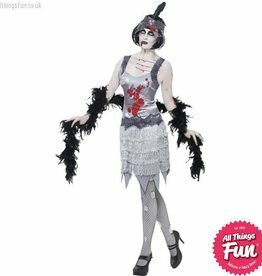 Our Adult Fever Boutique Can Can Diva Costume comes complete with Pink Lace Up Corset, Skirt with Multi Layered Lace Trim and Train, and Feather Headpiece. This slick dark warrior costume will certainly have you turning heads, before you chop them off !